Scott A. Galano | Professionals | Gibbons P.C. Mr. Galano has practiced exclusively in the area of public finance since 2004, serving as bond counsel, underwriter’s counsel, and trustee’s counsel on a variety of complex tax-exempt and taxable financings involving variable and fixed rate obligations; certificates of participation; demand bonds; general obligation and revenue bonds and notes; general obligation and revenue refunding bonds; pooled program loan bonds and notes; credit enhanced (insured, letter of credit supported or county guaranteed) obligations; negotiated and competitive bond and note sales; borrowings through the New Jersey Environmental Infrastructure Trust; and new money, current refunding, and advanced refunding obligations. Mr. Galano’s representations include bond counsel to borrowing municipalities, counties, and public authorities, including improvement, utilities, and sewerage authorities, within the State of New Jersey; underwriter to various investment banking firms; and trustee counsel to numerous banks. He represents these clients in a variety of health care, transportation, housing, education, capital equipment, sewer, and solid waste financings. Mr. Galano has served as bond counsel to numerous borrowing municipalities, counties, and public authorities, including improvement, utilities, and sewerage authorities, within the State of New Jersey, in connection with the issuance of tax-exempt and taxable bonds and notes. In connection with these transactions, his services have included, once a financing was identified and authorized: preparation of bond and note documents; drafting bond ordinances and related resolutions; attendance of meetings; preparation of any applications such as those for the Local Finance Board, Division of Local Government Services of the Department of Community Affairs of the State; preparation of disclosure documents; advising issuers on the requirements imposed by the Internal Revenue Code of 1986, amended, with respect to arbitrage and rebate restrictions; and completion of closings promptly and efficiently. Such services have also included participation in the development and review of financing alternatives and the utilization of certain provisions in the local bond law, improvement authorities law, utilities authorities law, and sewerage authorities law, as applicable, to implement the various financing structures. 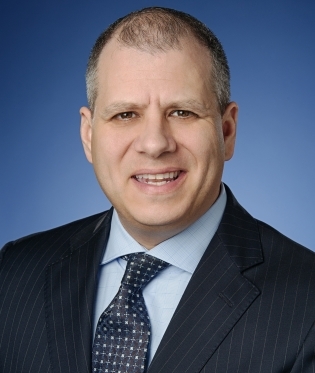 Mr. Galano has served as underwriter’s counsel to various investment banking firms. Clients include Citigroup Global Markets Inc.; JP Morgan Securities LLC; Raymond James & Associates, Inc.; Roosevelt & Cross, Incorporated; Oppenheimer & Co. Inc.; and Janney Montgomery Scott LLC. Such representations have involved a broad range of transactions, including variable and fixed rate obligations, demand bonds, pooled bonds, credit enhanced (insured or letter of credit supported) obligations, revenue anticipation notes, and current and advanced refundings. In connection with these transactions, his services have included preparation of contracts of purchase, attendance of meetings, review of bond documents, and preparation of disclosure documents. Mr. Galano has served as trustee counsel to numerous banks in financings for New Jersey issuers. Such representations include The Bank of New York Mellon; Manufacturers and Traders Trust Company; U.S. Bank National Association; TD Bank; National Association; Wachovia Bank; National Association; and Capital One, N.A. Such representations have involved a broad range of transactions, including variable and fixed rate obligations, demand bonds, pooled bonds, credit enhanced (insured or letter of credit supported) obligations, revenue anticipation notes, and current and advanced refundings. In connection with these transactions, his services have included review of bank documents and financing documents, including the bond resolutions and escrow agreements and all related documents and legal opinions; attendance of bond closings; and preparation and delivery of legal opinions. J.P. Morgan Securities LLC in connection with $141,255,000 revenue bonds purchased from the New Jersey Turnpike Authority in connection with refunding various portions of its outstanding debt in order to achieve significant debt service savings and $1,400,000,000 revenue bonds purchased from the New Jersey Turnpike Authority in connection with the financing of its 10-year capital improvement program for the Turnpike System. Prior to joining the Gibbons P.C. in 2007, Mr. Galano was an attorney in the public finance group of a private New Jersey law firm. © 2019 Gibbons P.C. All Rights Reserved. ATTORNEY ADVERTISING. Prior results do not guarantee a similar outcome.